Here is the TS-7250 board for my senior design project - it seems to be a great little embedded ARM board with tons of functionality. 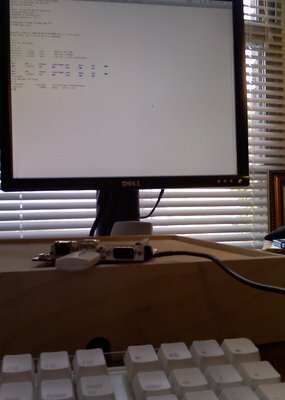 What you see here is the board linked wirelessly over the network with control from a desktop in the background (this was before I messed up the boot config file). Another fantastic thing about this board is since it is running an embedded version of linux, it also has a pretty full version of Apache running. This has made wireless interfacing as seamless as it gets for such a compact system.